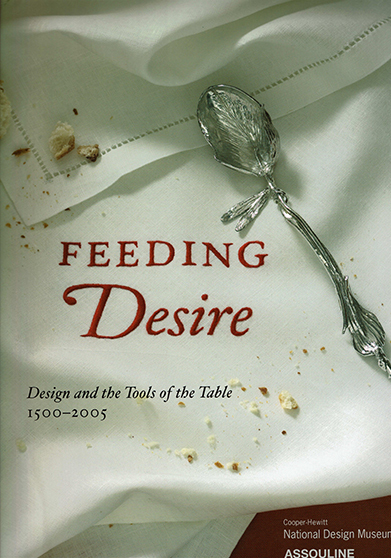 This lavishly illustrated catalogue from a 2006 exhibition at the Smithsonian’s Cooper-Hewitt, National Design Museum explores the social ritual of eating by focusing on cutlery. The book’s seven essays relate the fascinating histories of knives, forks, and spoons, and show how cutlery has influenced food, fashion, design, mobility, and hygiene over the centuries. If you’ve ever suffered from “fork anxiety,” this book is for you.